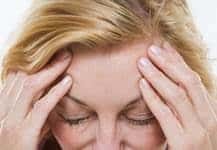 How to Get Rid of Your Stress Headaches – Kathy J. Marshack, Ph.D.
Is stress good for you? Perhaps you’re initial response was, “No!” We hear so much about the health hazards of stress, yet the stress response can be an asset for raising levels of performance during critical events such as a sports activity, an important meeting, or in situations of actual danger or crisis. However, when you become addicted to stress and it becomes persistent, all parts of the body’s stress apparatus (the brain, heart, lungs, vessels, and muscles) become chronically over or under-activated. This kind of stress can produce physical or psychological damage in time. One common manifestation is the stress headache. Improve your sleep routine – Go to bed and get up at the same times every day, even on weekends. Improve your exercise routine – Lower your stress hormones and boost endorphins with 20 to 40 minutes of heart pumping exercise three times per week at the minimum. Improve your eating routine – Don’t skip breakfast or other meals and eat more whole, healthy foods such as dark, leafy greens and whole grains and fish. Improve your relaxation routine – Use conscientious methods to relax, such as, walking, listening to music, meditation, deep breathing and progressive muscle relaxation, and skip the couch potatoing with the TV. Improve your relationship routine – Actually pull out your calendar and schedule time for people that are important to you. Improve your posture routine – Become aware of how you stand and sit at all times, so you prevent neck strain caused by slouching and tensing. This includes not clenching your jaw. Have you heard these suggestions all before? Have you tried them and then reverted back to doing things the same old way? What’s stopping you from putting them into action? Did you notice I called each one a “routine”? These positive changes involve changing your brain and replacing old habits with new ones. Perhaps it’s time to consult a therapist and learn how to retrain your brain to cope with stress. If you live near Portland, OR/Vancouver, WA please contact my office and schedule an appointment, because a few sessions of therapy can help you reclaim a pleasant and peaceful life. Read more on my website: Managing Stress and Types of Therapy.